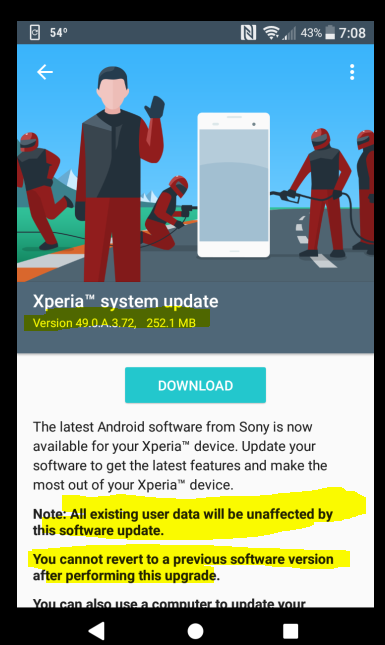 Sony insists that you must have at least 50%5 battery before it lets you begin the installation process. Even if you are connected to wall AC power. Since I was under 50%, I began charging it. It is a slow charging phone (remember, even though it is USB-C, it is running USB version 2.0, like the good old microUSB, so it doesn’t have most of the exciting USB-C 3.x features). 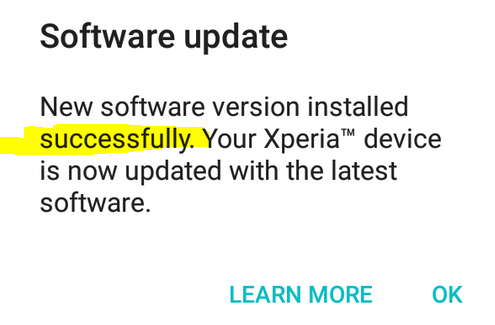 Once I went over 50% charged, I began the process. Overall, the process took about 20 minutes wall clock time. I adjusted the screen and was monitoring from a distance most of the time while multi-tasking, it doesn’t need eyes-on baby-sitting. 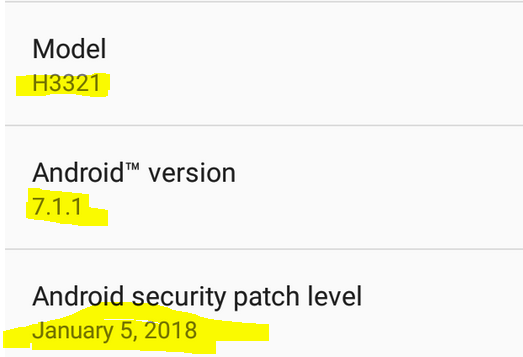 It’s the January 5 (2018) security update running on Android 7.1.1 ready to go!